Last Friday, I "ponteng" school coz "lausai" . But how come end up in Klang? Coz Mamarazzi had something to do in Banting lo. On the way home, stopped in Klang for lunch. Read about this shop in many blogs. Finally managed to pay the shop a visit. Errr... do they have nice toilet? Need to "download" leh. Ate Poh Chai Yin already so "download" rate slowed down. Mamarazzi ordered Vinegar Pork Trotter. Loaded with lotsa ginger. She said taste not bad la. Would be perfect if they add bit of dried cili. 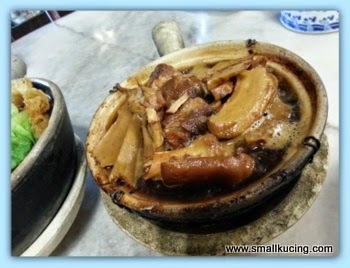 A pot/bowl of Bak-Kut-Teh. Taste good when eat warm. The only downside is that the rice was in a plate. Asked for bowl but the worker doesn't understand. Okay la...hentam aje la. 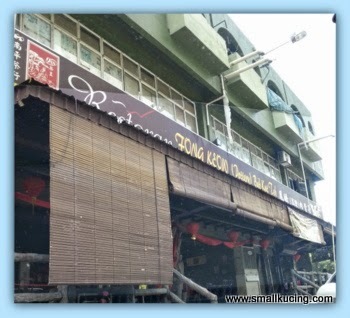 Address of this place....corner lot in Jalan Batai Laut 3, Kawasan 16, Taman Intan, 41300 Klang. Exact number dunno but easy to spot la. 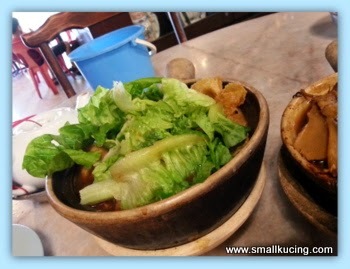 The bkt is overflowing from the claypot. Poor small kucing. He sure looked confused in the photo over what he could or couldn't eat. Looks really good. Next time I go KL, must take me here, can? So you got to skip school? That is very cool, then spend the time having lunch with your mom. Wah, J boy no need go school coz "lausai", yay! Ooops, yay not becoz of lausai la ok.. Yay coz no need go school.. But hor, if I got lausai hor, I won't dare to go anywhere leh.. Prefer to just stay at home, or stay in office (if I kena during working days).. At least if anything happens, the toilet is just nearby.. But since mamarazi got things to do in Banting, so far, then no choice lor, J boy gotta tag along..
Lucky along the way J no lausai hor.. Else, mafan lor.. Eating halfway have to bring him go toilet, scared crowded + Q somemore..
Love BKT! Love pui pui meat! Hope you are feeling better... take care. Omg, the pui pui one, my eldest brother sure love it very much!!! Poor kucing, must have eaten too much. How's the bkt ? Klang valley really have lots of good bkt. Wow, so porky, i can faint la like that LOL! wah, what happened that Small Kucing "lausai" that day?? what did he eat the day before or in that morning ah?? 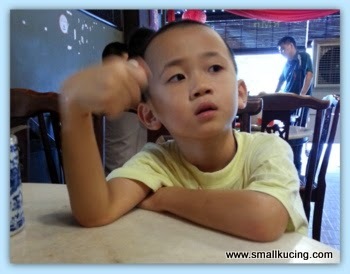 aiyoh, poor thing, look at him in the photo, kesian lah, like "lausai" until no more energy already..
no thank you for the vinegar trotter lah, Uncle SK doesn't like that.. and also weird, and first time Uncle SK see rice being served on plates for BKT!! hahaha, like that how to pour the BKT soup into the rice?? the worker cannot understand, why Mamarazzi didn't summon the boss?? Rice belongs in a bowl! 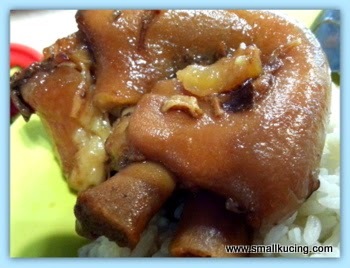 I love vinegar pork trotter. Can eat many bowls of rice with that!! Oopps. I need to watch my diet! Dont eat too much bak kut teh. Weather so hot I dont dare to eat it!! Worry nose bleeds later. Lol. 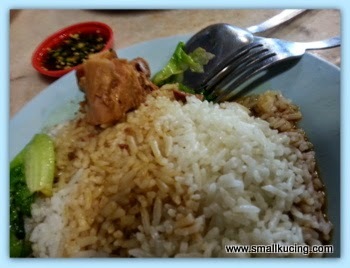 Klang; the food haven for bkt. Haven't tried place but been to others. Pork trotters; ohlala! !